(Newser) – Ethiopia's prime minister has died at an undisclosed location overseas while being treated for a mystery illness, reports Reuters. 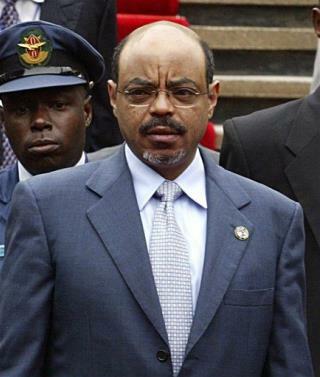 Meles Zenawi, 57, considered a stabilizing force in Africa, suddenly succumbed to an undisclosed infection in an overseas hospital where he was being treated over the last two months for an unspecified illness, said authorities. This usually means "The disease that must be denied". AIDS. In Africa, denial is not just a river. He died somewhere of something?